The Cleveland Clinic, one of the country’s top hospitals, is a surprising venue for the dispensing of herbs, a practice that is well established in China and other Eastern countries but has yet to make inroads in the U.S. because of a lack of evidence proving their effectiveness. The herbal clinic, which opened in January, has one herbalist who sees patients on Thursdays. Patients must be referred by a doctor and will be monitored to ensure that there are no drug-herbal interactions or other complications. The herbal clinic is part of the hospital’s Center for Integrative Medicine, whose offerings also include acupunture, holistic psychotherapy and massage therapy. “I’m getting more and more physician referrals [for herbal treatments], which to me is a sign of greater acceptance,” says Leslie Mendoza Temple, medical director at NorthShore’s Integrative Medicine Program. “When I first started here we were pounding on doors to prove we’re not crazy and we’re legitimate and safe.” Referrals come from neurology, oncology, gastroenterology and rheumatology, among other departments, she says. Jamie Starkey, lead acupuncturist at the Cleveland Clinic who got the herbal clinic started, says there is little scientific research outside Asia on using herbs as medicine. Ms. Starkey says she had to translate studies to convince the Integrative Medicine’s former medical director that an herbal clinic could be effective. “The evidence base for these approaches using modern rigorous methods of randomized trials is quite thin,” says Josephine Briggs, director of the National Center for Complementary and Alternative Medicine, part of the National Institutes of Health. NCCAM is funding research looking at fundamental biological mechanisms of some herbal products. But they are not currently funding any efficacy studies involving humans. Some research is looking at how herbs may affect drug metabolism. There are thousands of herbs—primarily plant parts but also some animal and mineral products—that are used in traditional Chinese medicine. Herbs are usually used in combinations and can be taken as capsules, tinctures, powders or tea. Herbs can be toxic if taken in the wrong dose. Quality and potential contamination are issues. At Cleveland Clinic, premade herbal formulas are bought and ordered through KPC Products, a subsidiary of Taiwan’s Kaiser Pharmaceutical Co. Custom-blends are made by Crane Herb Co., based in Massachusetts and California. Consultations are $100 and are not covered by insurance. Follow-ups are $60 and a one-month supply of herbal formulas costs on average about $100. On one day at the clinic last month patients had needs ranging from chronic pain to anxiety, digestive issues and multiple sclerosis. Lynnette Fleshman, 36, of Euclid, Ohio, was a returning patient coming to the clinic for infertility issues. Her doctor, she says, was pushing her to go the in-vitro fertilization route. Ms. Fleshman, a program coordinator at Cleveland Clinic, was hoping to avoid IVF with the help of herbs. 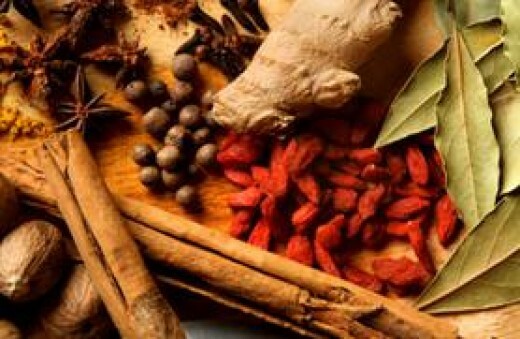 Infertility, menstrual disorders, PMS and menopausal symptoms are commonly treated by Chinese herbs and can be very effective, Ms. Roofener says. There are certain problems that pester you so much that you finally tend to give up on them. Many skin and hair problems are such. For example, excessive hair fall is one issue that many have given up thinking about. This is basically because no chemicals or combinations of modern treatments have shown to actually work! That is chiefly the reason why more and more people around the world are now turning to the ancient Indian ayurveda for various health issues. Especially for nagging problems, where conventional medicine with its chemical formulations, often does not give a comprehensive cure, the much safer option of ayurveda is proving to be the ray of hope for many. For those struggling with the frustrating problem of hair fall, ayurveda has a wholesome approach to the issue. Ayurveda believes that the bodily constitution of an individual and the genetic traits affect the quality of hair and initiation of hair loss. The most common causes of hair fall, found among women, are nutritional deficiencies and hormonal problems. Sometimes, hair loss can also occur due to a chronic illness or taking strong medications, like steroids. Ayurveda seeks to cure hair loss in a more holistic manner. The therapy is based on addressing the causes behind hair loss directly. So, metabolic disturbances among various biochemicals, including hormones, which lead to hair loss, are corrected. According to ayurvedic texts, individuals with the Pitta body type often experience more hair fall. According to this science, these people are of moderate body size, short-tempered, irritable and aggressive. Pitta elements in the circulation are aggravated by wrong dietary and lifestyle choices. Therefore, excessive consumption of hot, sour, salty and spicy foods, along with excessive intake of beverages like tea and coffee, fuel the Pitta. This in turn contributes towards hair loss, according to the principles of ayurveda. A Pitta constitution means a robust digestive system, often leading to overating. This can lead to indigestion and acidity, generating a lot of bodily heat, which needs to be controlled. Consuming meat and alcohol can also induce hair loss among some people. The intake of greasy, oily and fried foods that are heat-generating, acidic and tend to aggravate the Pitta, should be avoided. Thus, ayurveda healers recommend including cooling foods like asparagus, mint (pudina), coriander (dhaniya) leaves, cucumbers, sweet potatoes, bitter gourd (karela), green leafy vegetables, pineapple, cherries, yogurt and warm milk. Ice cold drinks should be avoided for healthier and better digestion. Sometimes, ayurveda health practioners even recommend medicated oils to be mixed with your regular coconut oil. This includes oils like kunthala and neelibhringadi oil. These oils help to strengthen the roots of the hair, preventing further hair loss. Massaging with warm ayurvedic oils helps to boost the blood circulation to the scalp, which stimulates hair growth in dormant hair follicles. Ayurveda practioners recommend that bowel movement should be regular to ensure that toxins are not retained within the body. These toxins are responsible for aggravating hair loss. Thus, bowel cleansers are commonly recommended. Among these, triphala is the most recommended of all ayurvedic herbs. In case you suffer from chronic constipation, it should be discussed in detail with the health professional. Apply a paste of coriander leaves to alleviate itchiness and dryness of the scalp. Use a paste of fenugreek (methi) seeds and cooked, green gram on the scalp two times a week. Soak methi seeds in coconut oil, and keep in a glass container, in sunlight. Allow the concoction to gain potency over a period of five days. Then apply it directly to the scalp. A sweetener created from the plant used to make tequila could lower blood glucose levels for millions of type 2 diabetes sufferers and help them and the obese lose weight, according to researchers.The main reason it could be valuable, they explained, is that agavins, a natural form of sugar found in the agave plant, are non-digestible and can act as a dietary fiber, so they would not raise blood glucose. Their report was part of the 247th National Meeting of the American Chemical Society (ACS), the world`s largest scientific society, being held at the Dallas Convention Center and area hotels. “We have found that since agavins reduce glucose levels and increase GLP-1, they also increase the amount of insulin,” Mercedes G. Lopez, Ph.D said. GLP-1 (glucagon-like peptide-1) is a hormone that slows the stomach from emptying, thereby stimulating production of insulin. “Agavins are not expensive and they have no known side effects, except for those few people who cannot tolerate them,” she added. In addition, agavins, like other fructans, which are made of the sugar fructose, are the best sugars to help support growth of healthful microbes in the mouth and intestines, she said. Lopez, who is with Centro de Investigacion y de Estudios Avanzados, Biotechnology and Biochemistry Irapuato, Guanajuato, Mexico, also noted that agavins can help people feel fuller, which could help them eat less. Agavins contain fructoses, which begs the question: Are agavins like high-fructose corn syrup, a processed sweetener that has gotten a lot of bad press recently? Lopez pointed out that, indeed, high-fructose corn syrup is loaded with fructose sugars and, therefore, can raise blood sugar levels. But agavins are fructans, which are fructoses linked together in long, branched chains. The human body can`t use them in that configuration, so they don`t affect blood sugar, she explained. Agavins also sometimes get confused with agave nectar or agave syrup, which appears on many health-food store shelves. These products contain fructans that have been broken down into individual fructoses, so they are much more similar to high-fructose corn syrup. An Arizona family plans to give medical marijuana to their 5-year-old son to treat his seizures caused by a genetic brain defect. Zander Welton had his first seizure when he was 9 months old and now has them weekly. His parents, who live in Mesa, say the cortical dysplasia, coupled with autism, keeps Zander from any real form of communication. He squeals and grunts, and on occasion, will bring them a cup to indicate that he’s thirsty, but otherwise doesn’t use hand gestures or form words. After hearing about some disabled kids thriving thanks to medical marijuana, Jacob and Jennifer Welton have started the process of making Zander a legal cardholder. The Weltons hope to start giving their son the marijuana oil drops by next week, using a syringe to pinpoint the exact dosage that works. “If this finally works for Zander and I finally get to meet who he is, that would be amazing. Because I don’t know who he is. He’s just a little boy that’s trapped in this craziness,” Jennifer Welton told Phoenix TV station KNXV. The Weltons have two other sons and Zander is the second oldest. He’s undergone two brain surgeries, a third surgery for shock therapy and has been administered a series of trial and error prescription drugs. His latest prescription made minor improvements with his seizures, but Jennifer Welton said the medication made her son more combative. Zander’s mobility also is limited and he often reverts back to crawling after a bad seizure. For medical marijuana treatments, the Weltons need two doctors to sign off on it. The caregiver also needs to be approved for a medical marijuana caregiver’s card and that person has to live with the recipient. The couple connected with a naturopathic doctor and started the process to administer legal pot, learning Tuesday that their applications have been approved. Medical marijuana isn’t covered by insurance. The state currently picks up the $5,000 a month tab for Zander’s prescriptions. The CBD oil will cost about $300 a week out-of-pocket. The Weltons have been reaching out to friends and family for donations.